I am a Samsung DLP owner. On which Samsung models can you use this process for calibration? Another great example of why manufacturers need to put ISF related functions in a separate menu. Service menu should only ever need to be accessed at the factory or by a company trained tech who carries the proper equipment. the big problem is that in the new products there are new options in the regular menu, that my lcd has on the service menu. hi, just got the new 46M8 and checked my production date by entering service menu. looked at calibration and dtv calibration came up as failure. also noticed when i look through menu (not d.menu) alot of stuff are shaded out including the complete setting for channel settings? is this normal or is there something wrong with my dtv? i just realised that in australia we dont get dtv, only certain tv programs are in HD. however before i realised that i tryed the _calibrate.tv/patterns/ansicontrast1.jpg on my screen. it still comes up as failure. I believe your statement about "Company trained techs" is a bit overrated. It shows clearly when you compare two identical sets next to each other with the same "stupid-consumer-menu"-settings. Producing consumer electronics as cheap and in as large quantity as possible seems to have an effect on the time you'll spend on calibrating and quality assuring your product, right? Besides that a service menu shouldn't be accessed through button remote button combinations and accidantially modified through pressing a single button. 1. Did it also change service menu items? 2. Is there anything else that I still need to do to restore it? 3. What exactly does "success" mean? 2. Recalibrate it somehow, please let me know if You know how! 3. The opposite of failure??? I wonder if bad calibration is the cause of my green tint? Ok, I'm pretty sure I didn't select anything after seeing the sub-menu. I went back in today and did the same thing. Each of the inputs had Success already next to them. I didn't click on anything else though, so I'm guessing it didn't run through the calibration stuff either time. I did notice that as soon as I went into the service menu, it wacked my settings. One more question: in the white balance menu, are they supposed to all be different by default? Anybody know what the default values are? I'll answer my own question (after doing some more digging): The White Balance menu is only the settings for Cool1. The others can be adjusted in the W/B Movie menu. I am to lazy to right it all over again. thanks ALoTH it worked for me 2 . it fixed my HDMI failure , and now it is success. did it with the ps3 ,couldent get it to work with the x360. any clue how to fix the AV FAILURE ? thank goodness one of the first threads/posts i read said,(do not touch any options in service menu warranty will be voided).This was great advice for a non tech guy like myself. some of you sound qualified,thank goodness i know my limits. I didn't have a calibraton failure per se, but after upgrading firmware to 1037, I got the "green push" or tint. I though I fixed it in the service menu but it never really quite got fixe. I have a 4065f 1032/1008. I tried many rememdies but it was a combination that put me back to picture perfection. Switch inputs to cable. Power off and mute 182 on, go into service menu and write down white balance, and SVP-LX Offset, Gain, and Clock Settings. Load the calibration patter in post #47. Switch input back to HDMI. Power off and mute 182 on and go to service menu and run HDMI calibration. If you're lucky, that's it, you'll have the factory quality picture back. If like me, you picture is more whacked than before, that's OK. Some of your numbers are probably way off, like in the 6000s. Settings you can't or didn't touch have been calibrated, now go into White Balance and SVP-LX and enter the settings you noted from the cable input. For numbers in the thousands go up and it will jump to 0, if you go down it'll take forever. All should be like new again after that. Thanks to everyone in this forum. It took a while and a combination of several solutions for me to get mine truly fixed but I wouldn't have been able to do it without AVS Forum. Thanks to zzzpt for the chart, though I'm not sure this is the one Samsung uses it did help me complete the calibration adn all I needed then was to adjust the above settings. Even with the proper settigns above, without successfully completing a calibration with the chart, the picture was just never quite right. the first posts mentioned an 8x8 grid in full screen resolution, but the image in post 32 is 4x4 and low res. will this still work to recalibrate a 46" 1080 LCD through HDMI? My menu shows success, not failure, but apparently success is a relative word. All other inputs are still wonderful, but hdmi input now looks like a 20 year old failing tube on a cheap tv. Hello all, I have made this awful mistake as well but not in HDMI mode but AV1 and also in PC mode. I was able to recalibrate with success in PC mode by using a checkered box 8x8 jpeg at a resolution of 1360x768 in full screen but the same image won't work with AV1. Does anyone know what resolution it would have to be to work because I think that might be my problem. Not all inputs get calibrated the same way. DIgital ones use some patterns, and analogs use others. 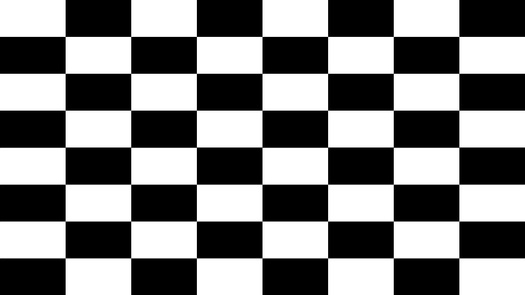 PC is digital, like the HDMI, but AV is analog, so I think it needs the color bars, rather than the checkerboard. Do you have a link to an example of these color bars? None of the electronics shops here on my island have any calibration DVDs but I did manage to download a DVD image file that has test patterns on it that I could possibly try when I get home. well the test patterns I downloaded didn't work, does anybody else know what pattern I might need or if they have the same set as me could they upload the factory settings for me please. I have a LNT2642H and it is a week old :-( I brought the set in myself and I don't have any service centers here on my small island. 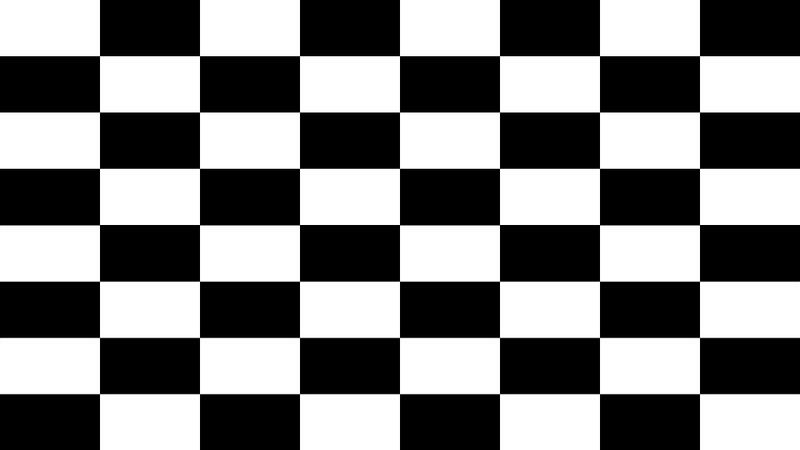 The checkerboard sometimes gets the brightness and contrast kinda fixed when doing the calibation even though it still shows up as failure, but I would like back to how it was originally. I just want to thank everyone in this thread. Yesterday I nearly bricked my Samsung 4665F when I accidentally hit COMP CALIBRATION, which was then stuck in FAILURE. Thanks especially goes to the people who mentioned the checkerboard image, and the guy who had the idea of using the Wii photos channel. I was able to successfully calibrate my tv using the attached image. Hope this helps someone down the line! Edit: ok, the board shrinks my attachment down to 1024x768. Just make an identical image to that at 1920x1080 and it should work. Well after reading this I checked my own service menu. I had had a look around a few nights ago and found also HDMI Failure. Must have hit left or right aye (not). Well tryed the checkerboard through ps3 and SUCCESS. any one know which pattern the other setting need. I have a few people I know who would have played and broken their settings as well. Thanks for the info Would have never Known some thing was wrong untill I tryed to calibrate (which wont be for a while) wife not to keen on letting me spend $. I have a issue too. I went into the calibration menu on my LCD and all my inputs showed success. I did not change or save anything, just powered off the TV. Afterwards, I powered up the TV and watched a few videos for a couple of hours - looked normal. The next day, my wife turns on the TV and it is very dark on all inputs. I checked the service menu again and all inputs still show success. Turning the brightness and contrast all the way to 100 helps, but it's nowhere near as bright as it was before. Did entering the service menu cause this and why the delay until the next day for the change? have you turned on power saving this dims your back light whitch make your screen darker.